Walter P. Reuther Library (3258) Cesar Chavez, Demonstration, San Francisco, California, 1970s. (3258) Cesar Chavez, Demonstration, San Francisco, California, 1970s. Cesar Chavez leads a demonstration down a street in San Francisco, California, c. 1970s. 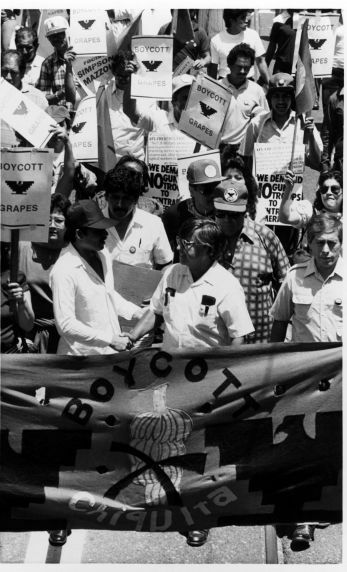 Demonstrators carry signs in support of the Grape Boycott, the Chiquita Banana boycott, and United States military involvement in Central America.